That looks dreamy…I love when beds are tucked off in a corner! And the wallpaper is so perfect! 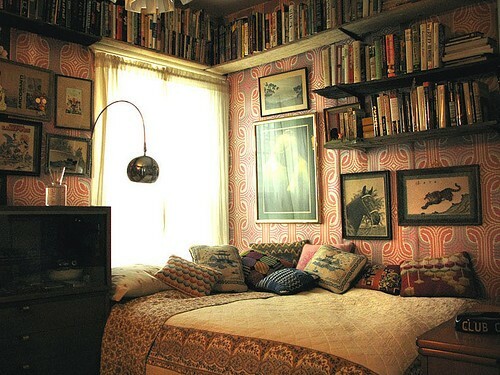 BUT…those books above my head would make me nervous they would FALL on my head while I slept!